Lost over 10kg. No more asthma attacks and gastric. In the year 2009, I had lost my mother and grandmother in a tragic car accident. My sister survived but unfortunately she was bedridden and the doctor said she would never be the same person again for the rest of her life. This was when my life spiralled down. Before this my weight was 65kg and praise to God I was healthy. But, after the accident, I quit my job and took care of my sister at home. At that time, I was diagnosed with asthma and severe gastric because I was so depressed. To comfort myself, I turned to food. I kept eating to end my sadness. I felt horrible with myself, I looked FAT, unattractive, ugly and I really hated myself. I gained 25kg between 2010 and 2014. My weight increased to 90kg. 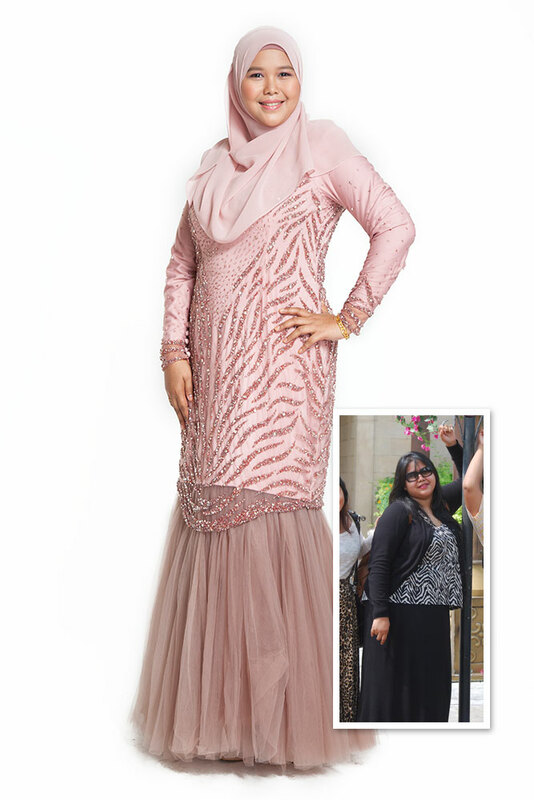 On the second day of Hari Raya 2014, my sister passed away and on that particular day I received a flyer from Curves. It was a turning point in my life. The next day, I went to Curves and signed up as a member. It was the greatest decision I’ve ever made in my life! My life has transformed since then. I have lost 10kg since I joined Curves. I was amazed at the results. Going to Curves really helped me to not only lose weight but to boost up my confidence level. The most amazing part is I no longer have asthma attacks and no more gastric. Going to Curves really makes me feel fit and happy. Regular tips about food and exercise from the Coaches help me to amp up my workouts. Even though I have not reached my ultimate goal yet, I know I definitely will with my workouts at Curves! Created specifically for women, Curves offers a complete fitness and weight management solution. Curves is the World’s Leader in Women’s Fitness with over 4 million members in 90 countries.